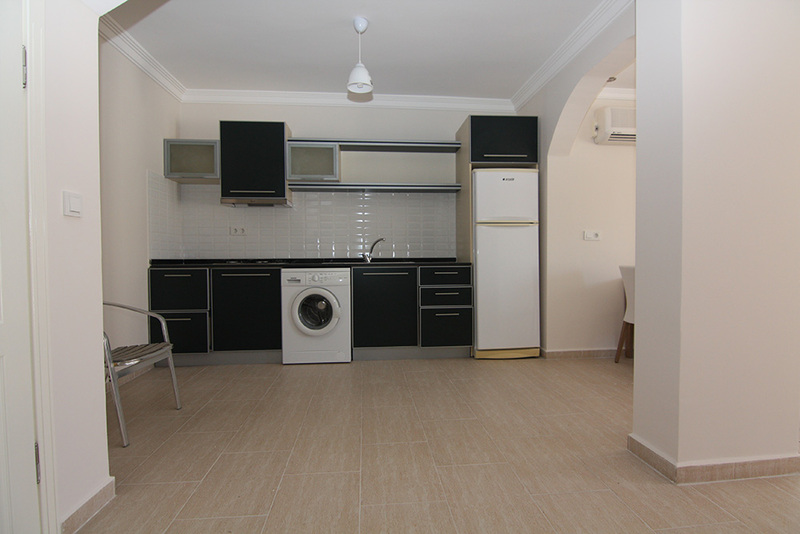 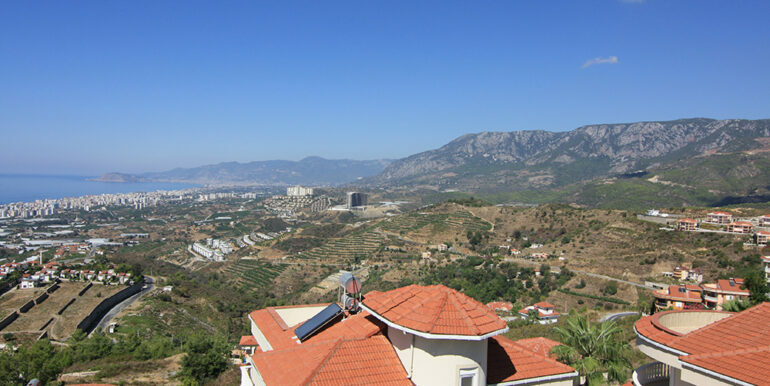 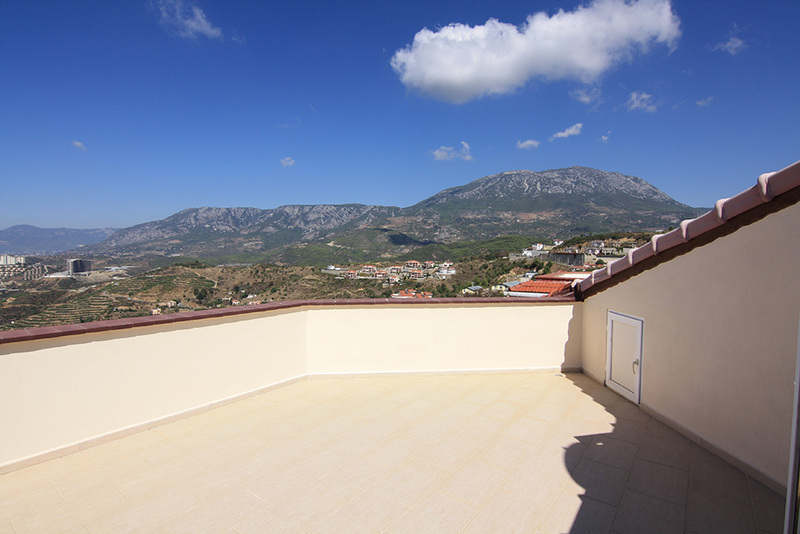 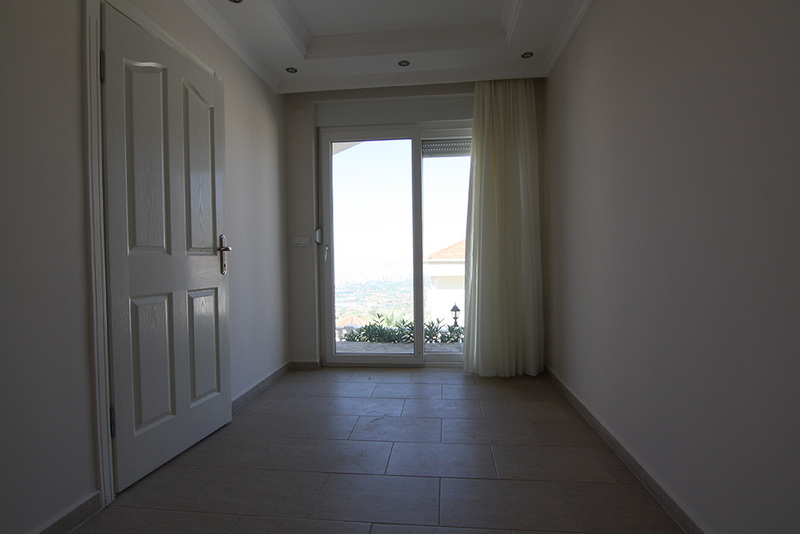 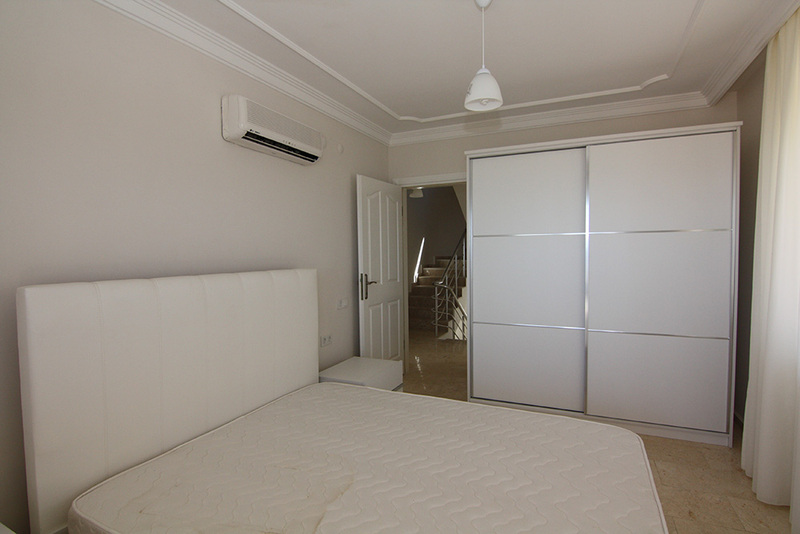 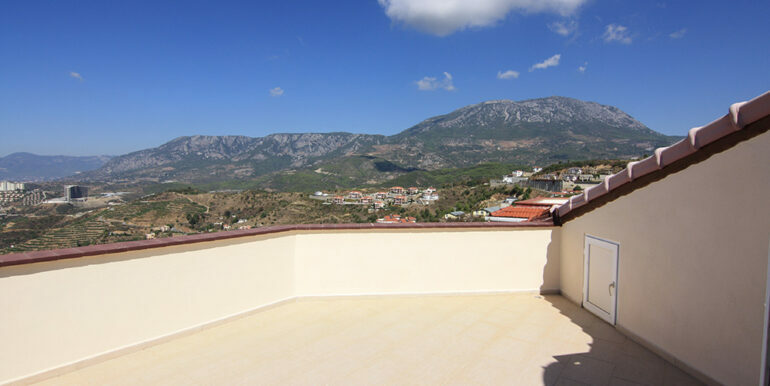 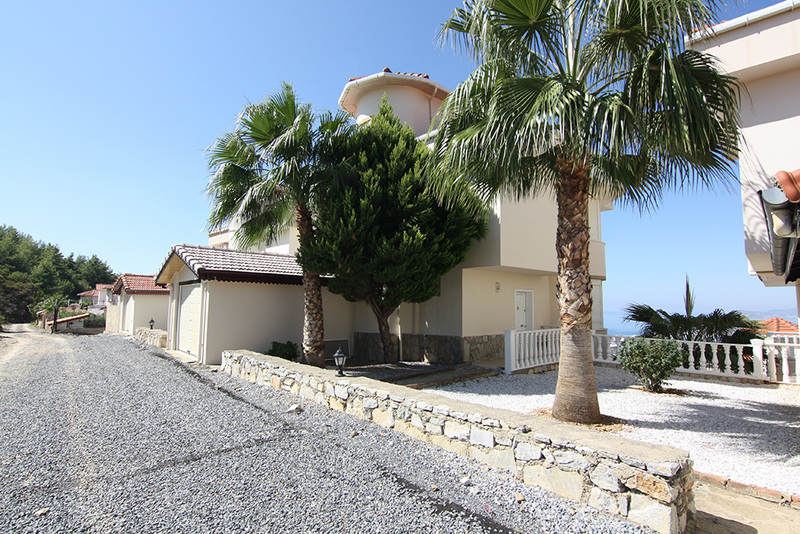 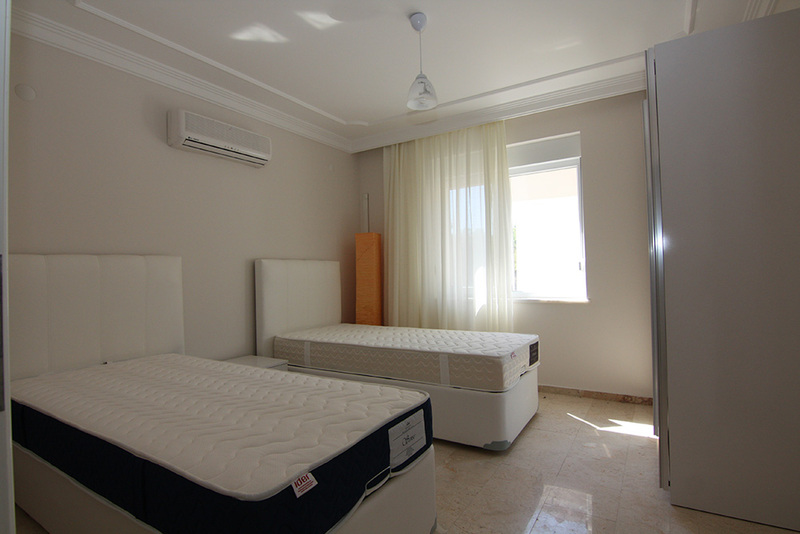 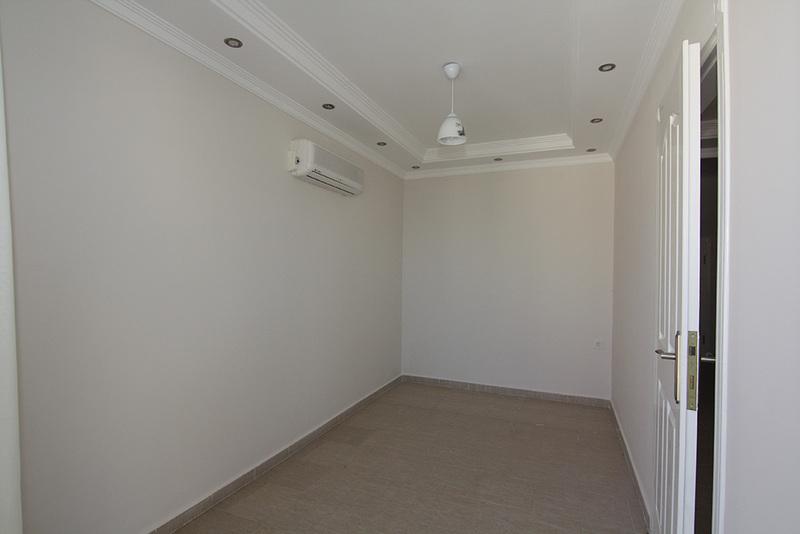 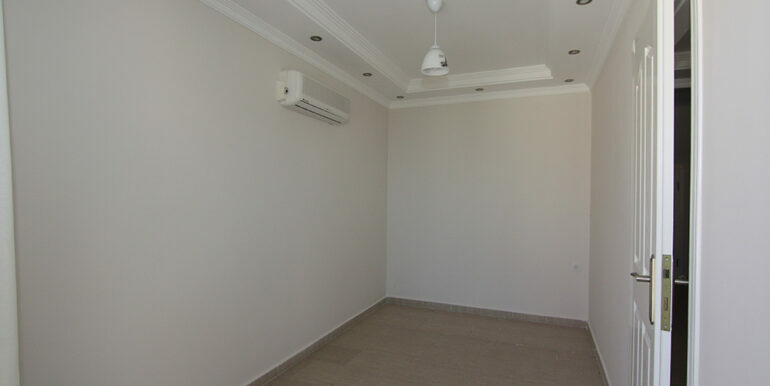 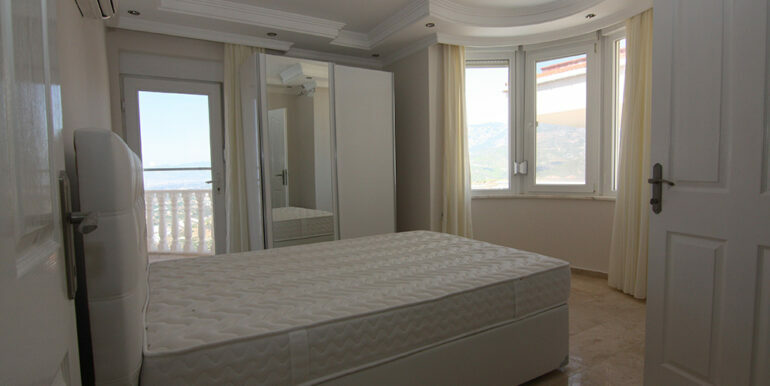 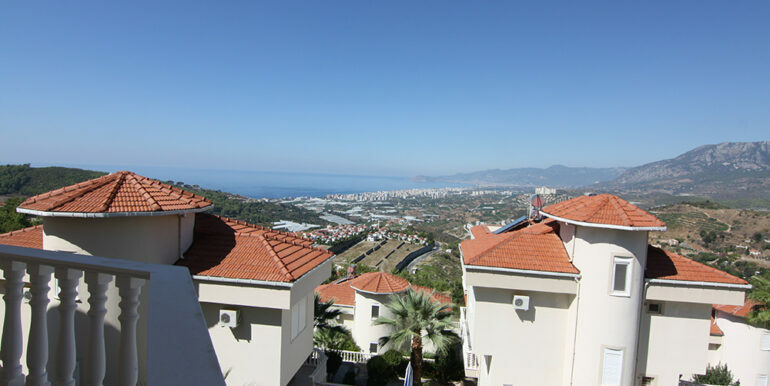 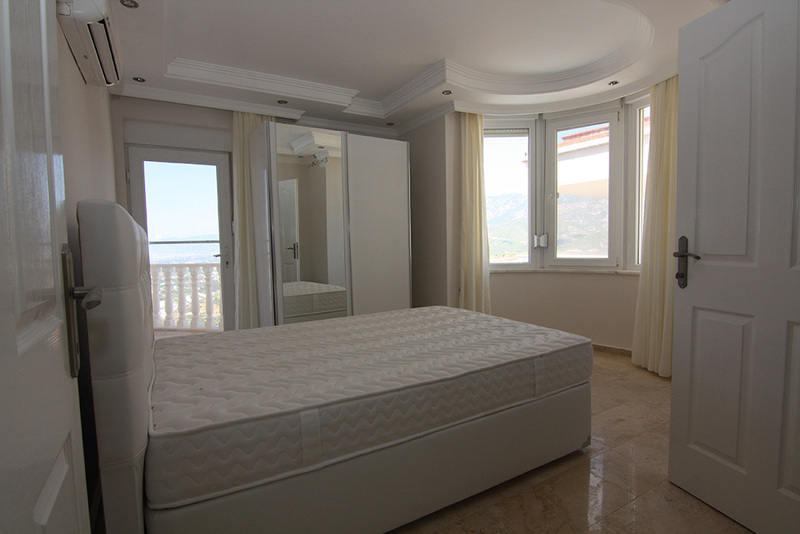 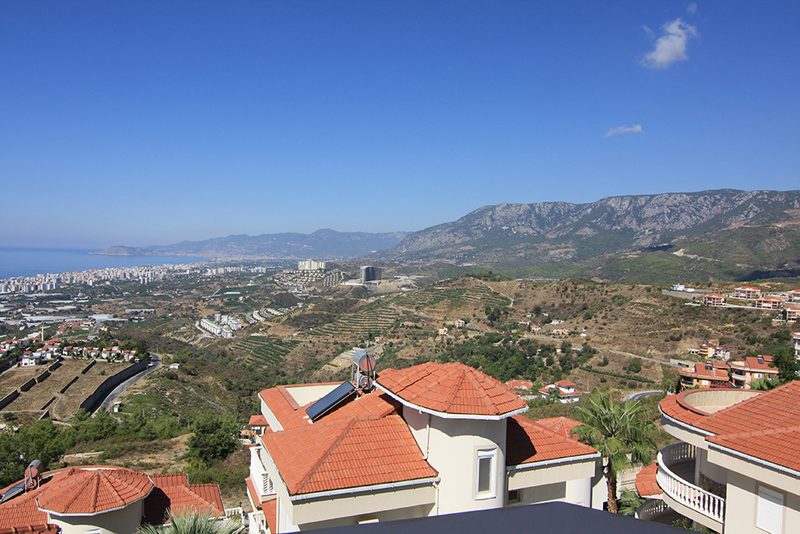 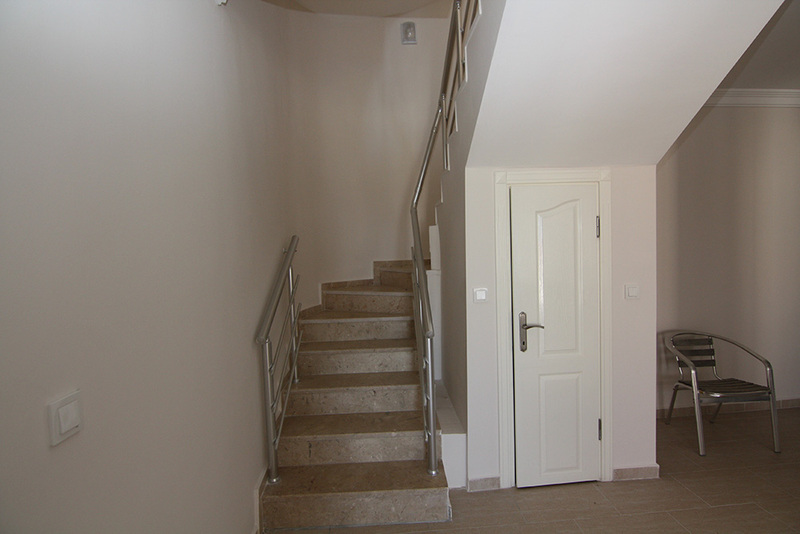 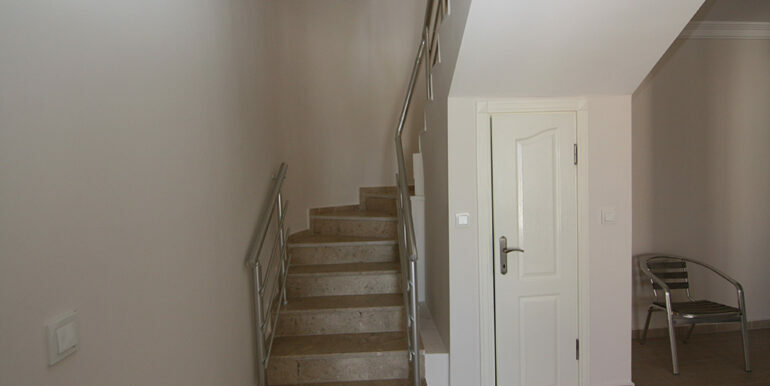 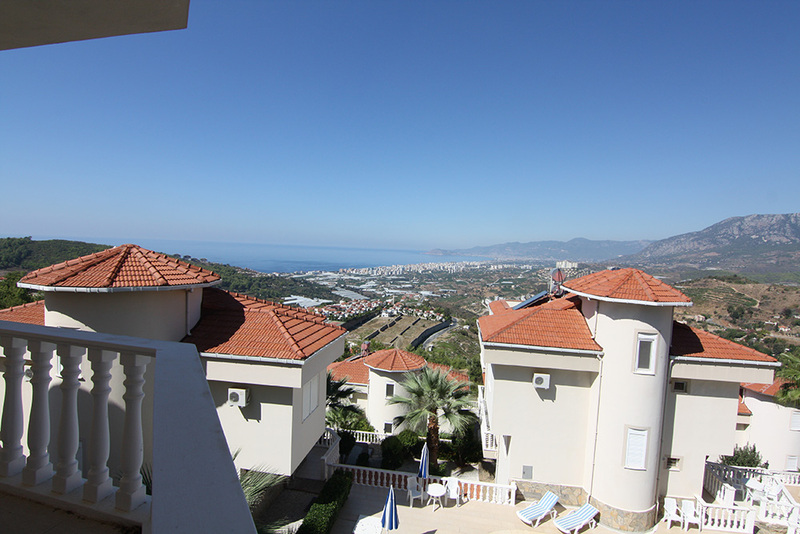 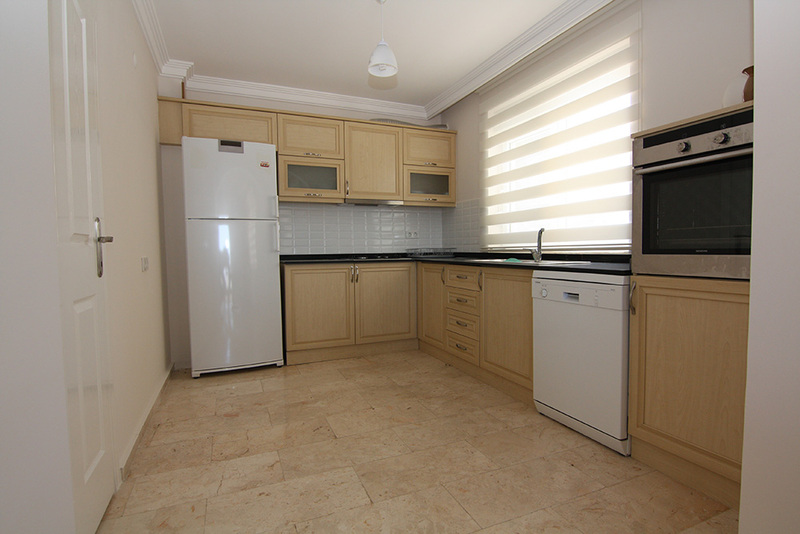 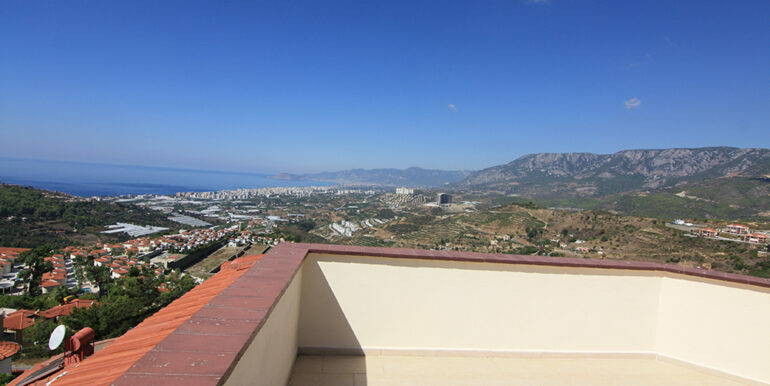 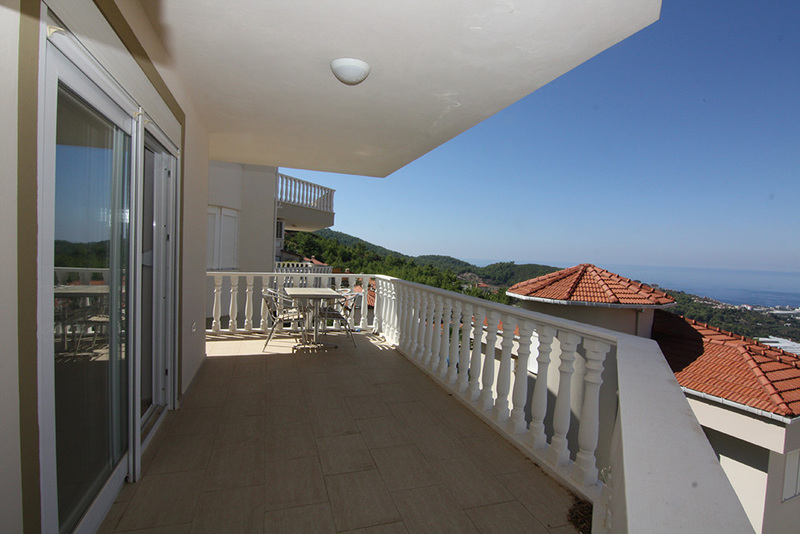 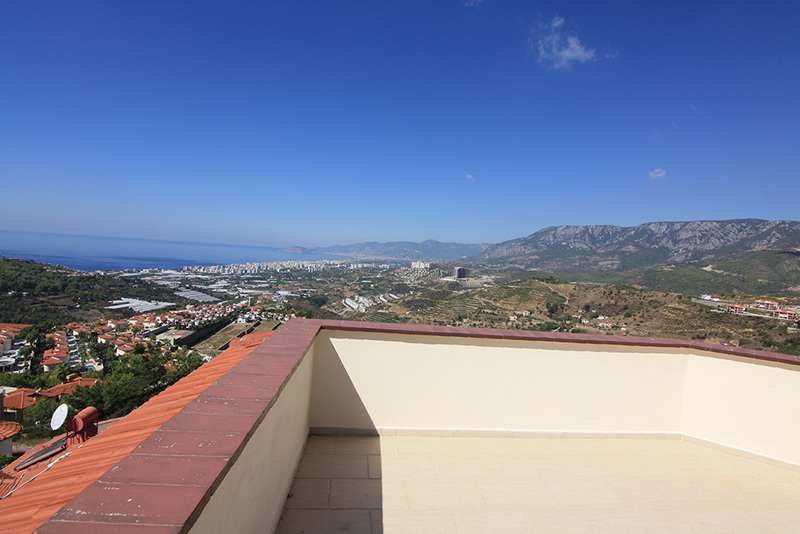 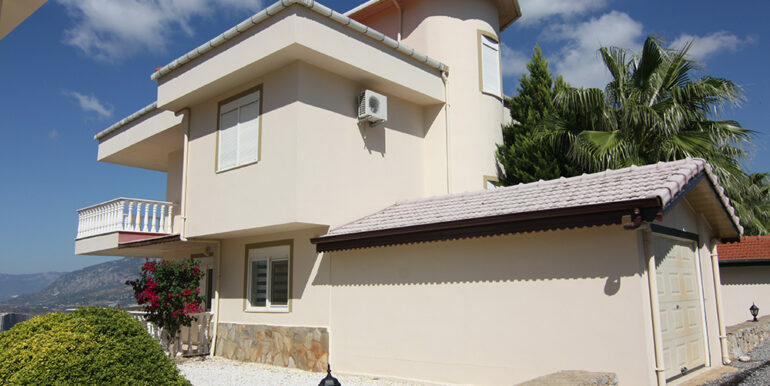 135000 Euro Sea View Villa For Sale in Alanya Kargıcak – with Swimmingpool! 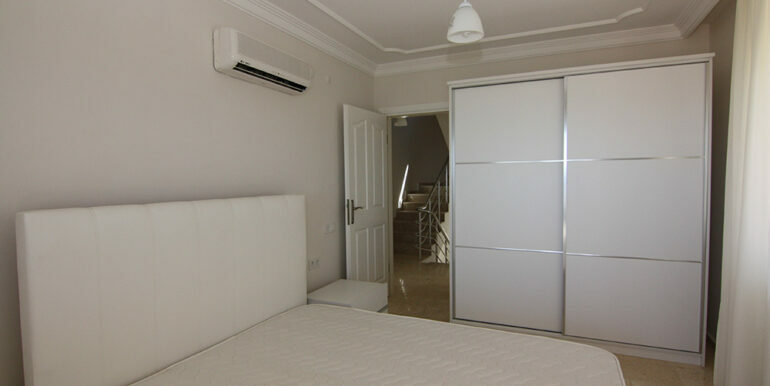 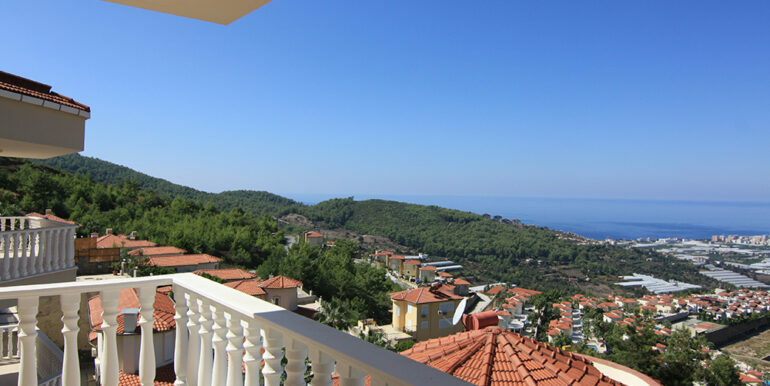 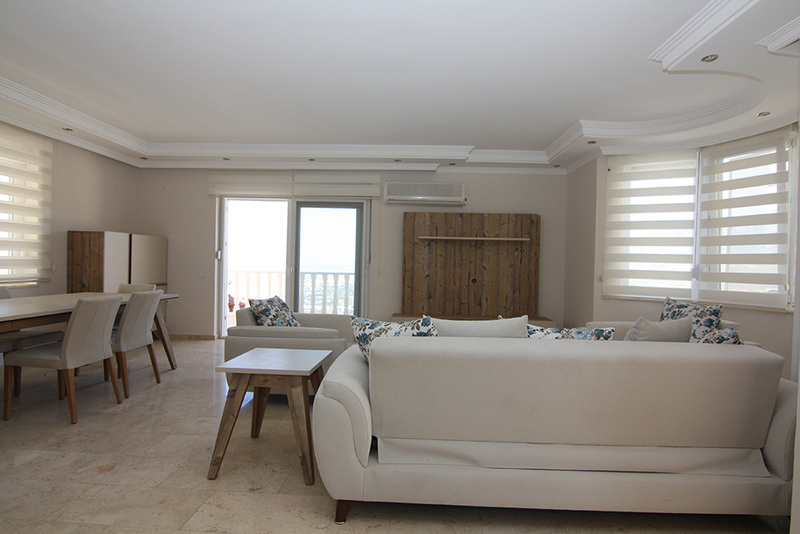 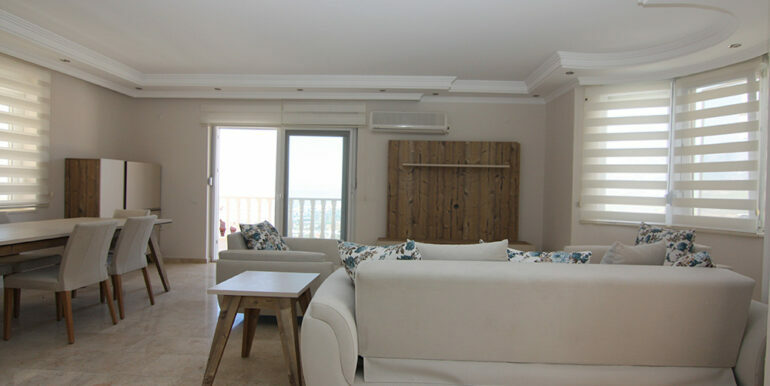 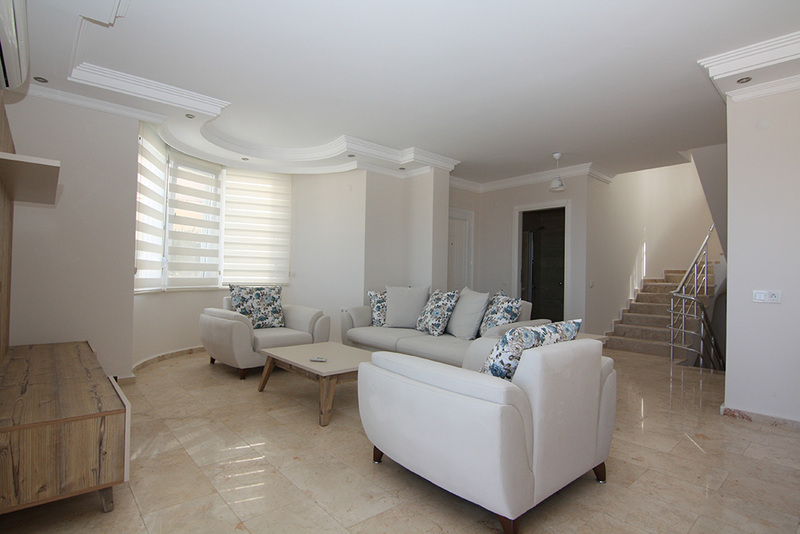 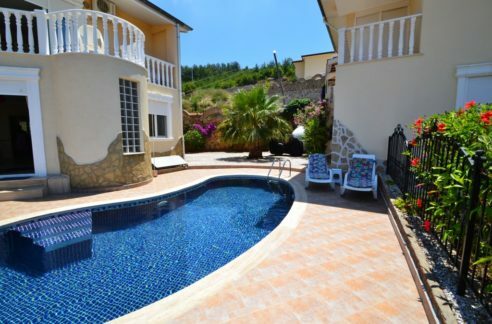 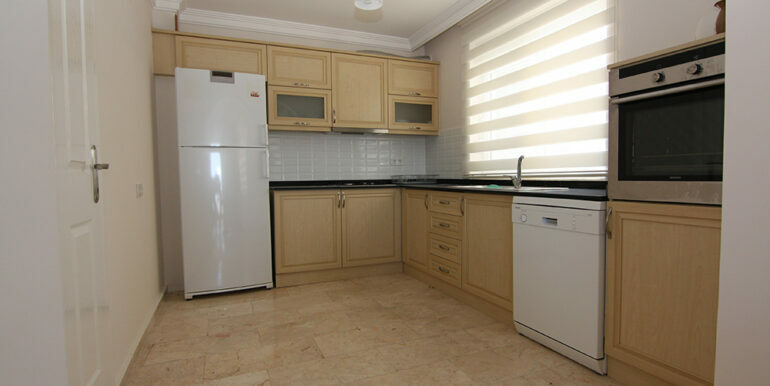 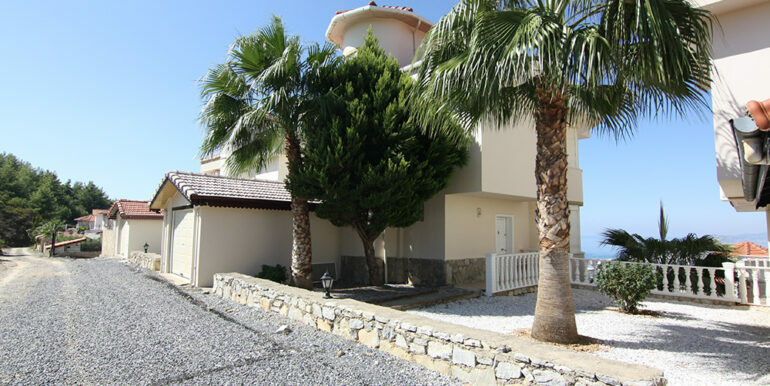 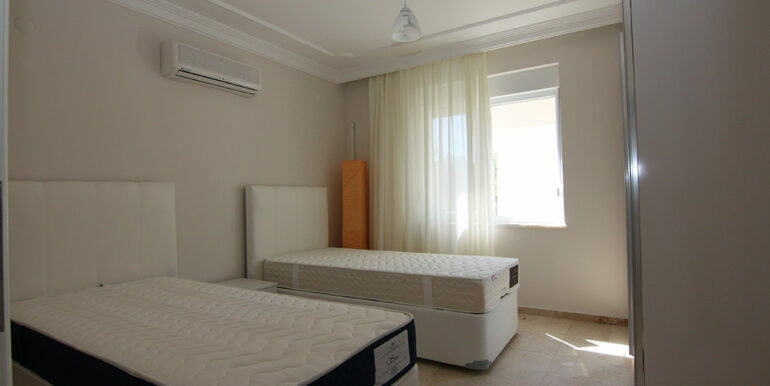 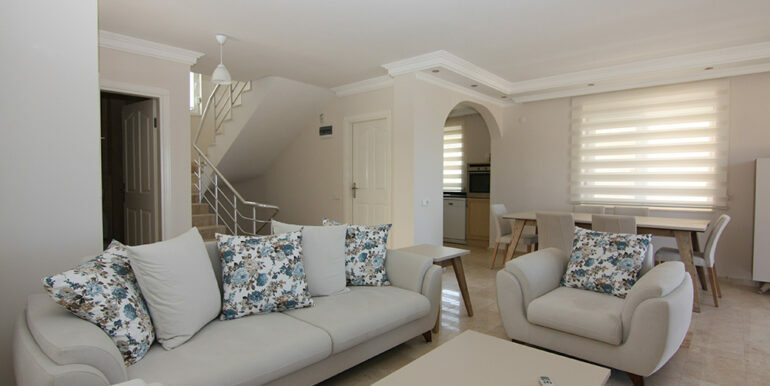 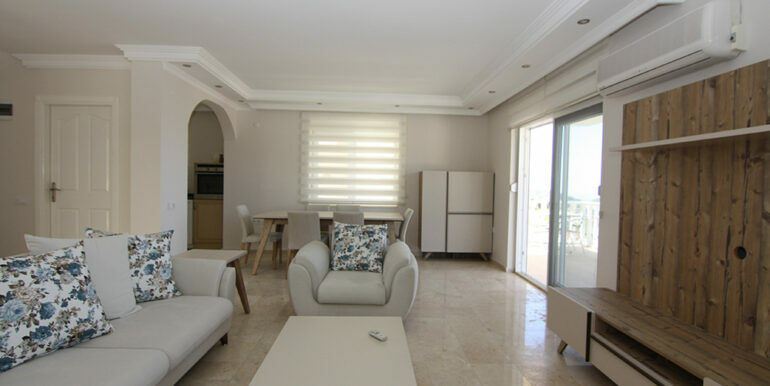 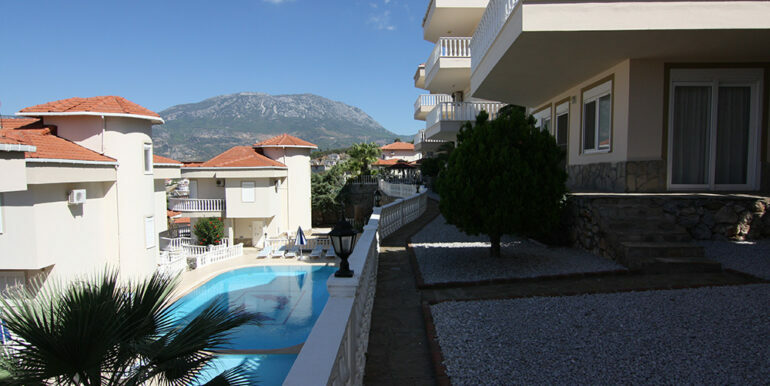 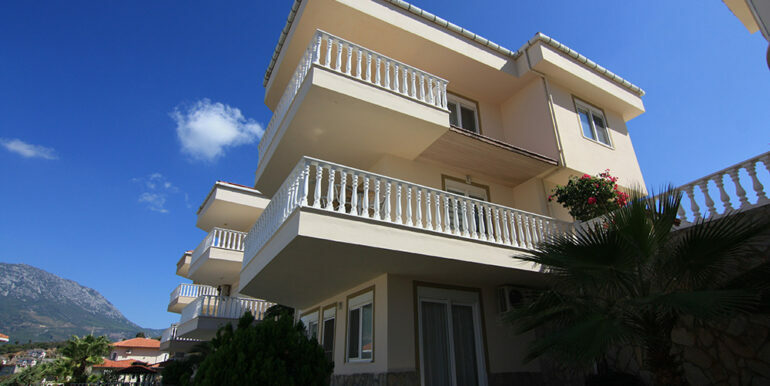 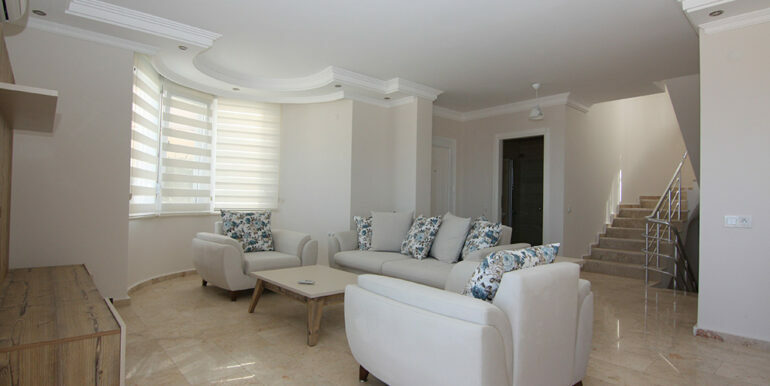 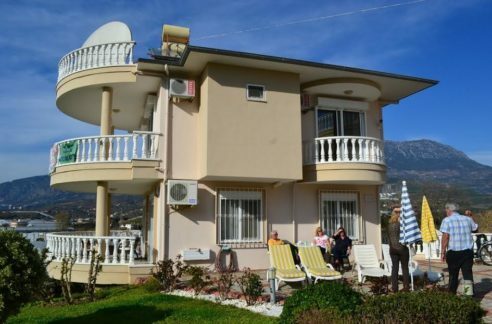 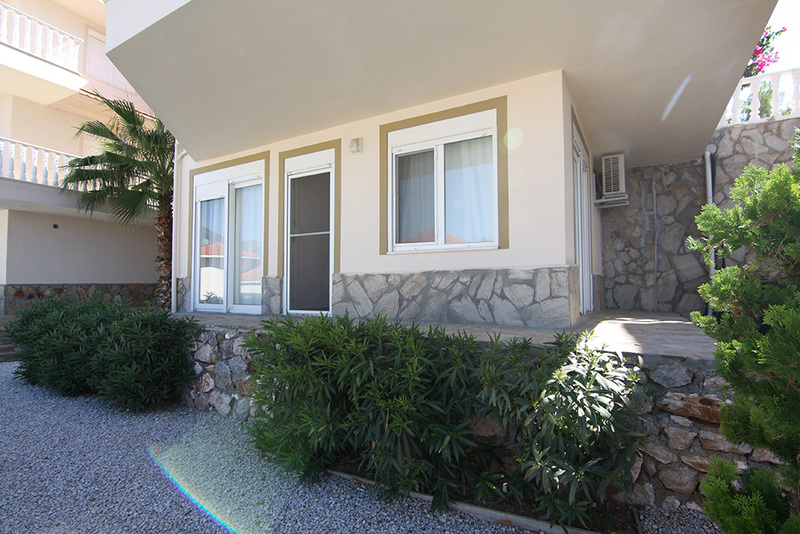 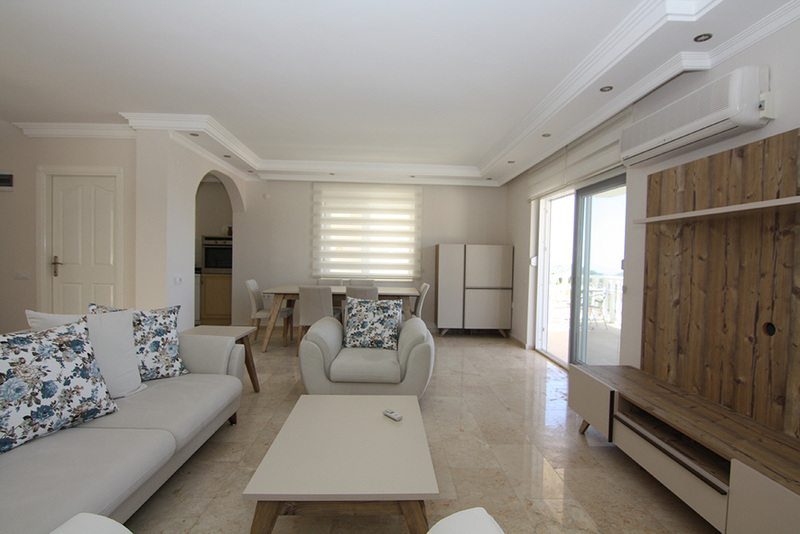 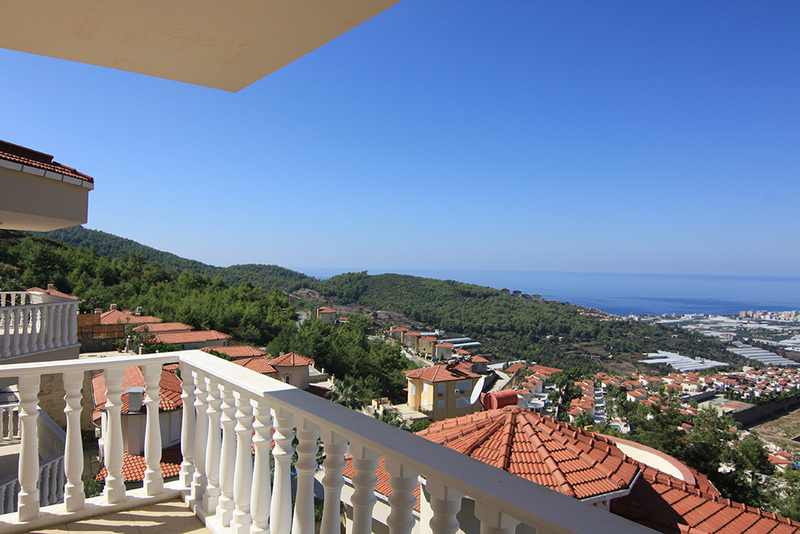 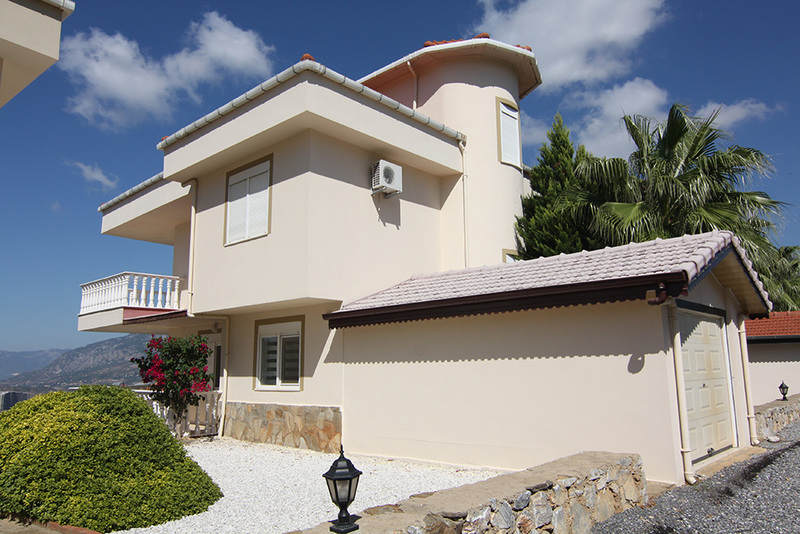 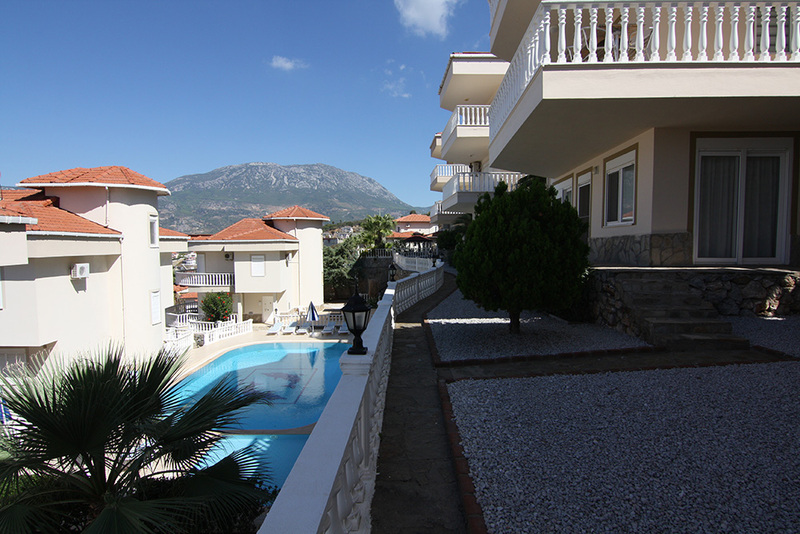 The villa is located in Alanya Kargicak 5 km to the beach in a Villa Complex. 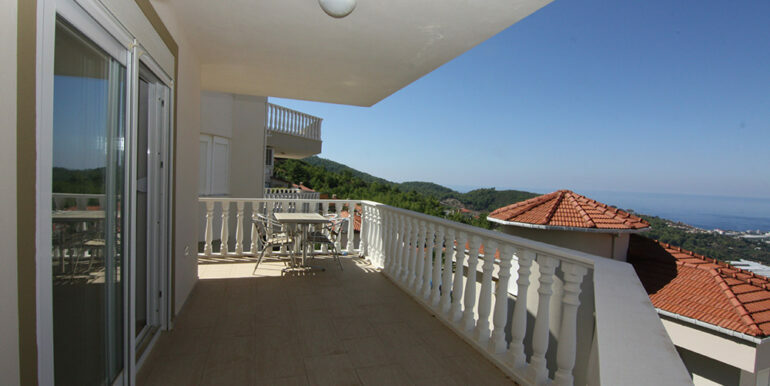 The Villa has amazing seaview and is wellkept. 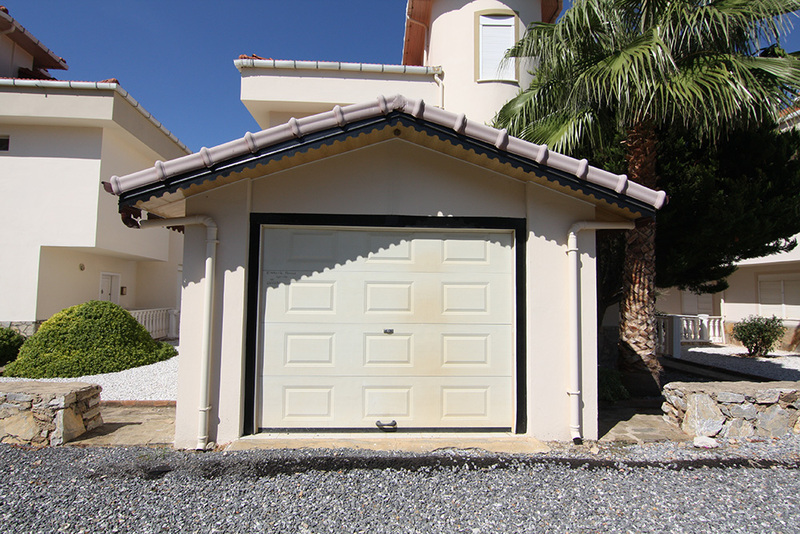 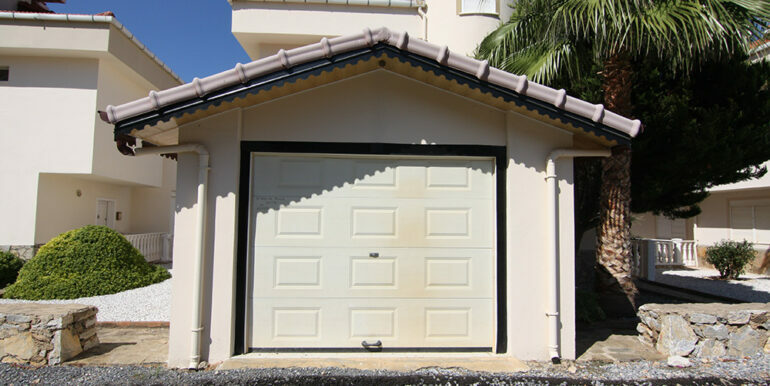 The house has a private garage and 380 qm plotsize. 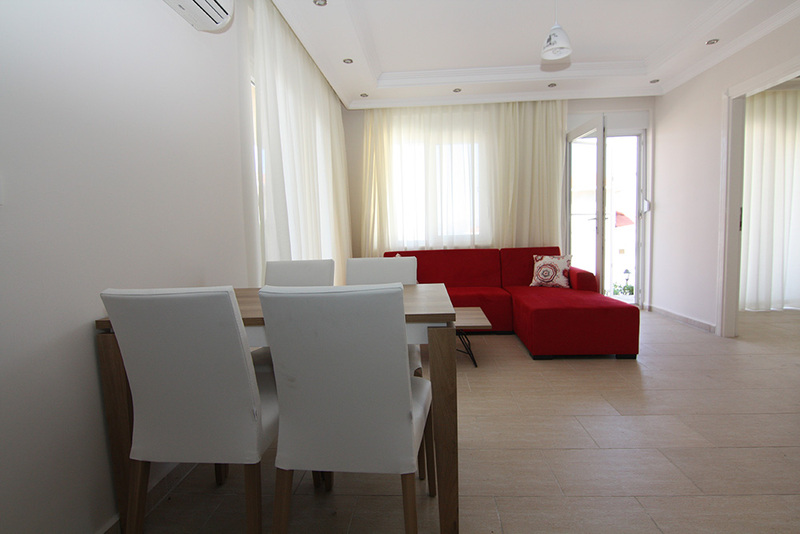 The villa is 260 sqm with a large living room with American kitchen (kitchen suitable to make a separate kitchen), bathroom with shower. 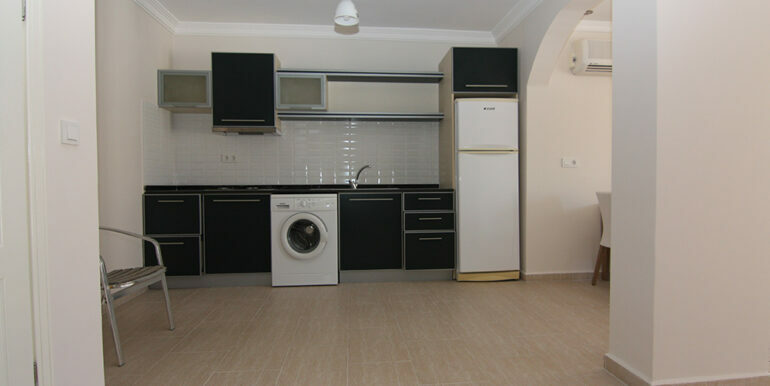 Basement; There are 2 rooms that can be used as living rooms, a bedroom and a bathroom, as well as a small kitchen on this floor. 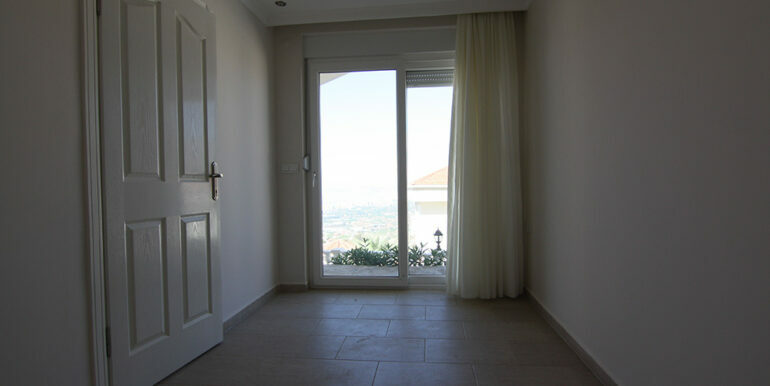 There is also a door to the garden. 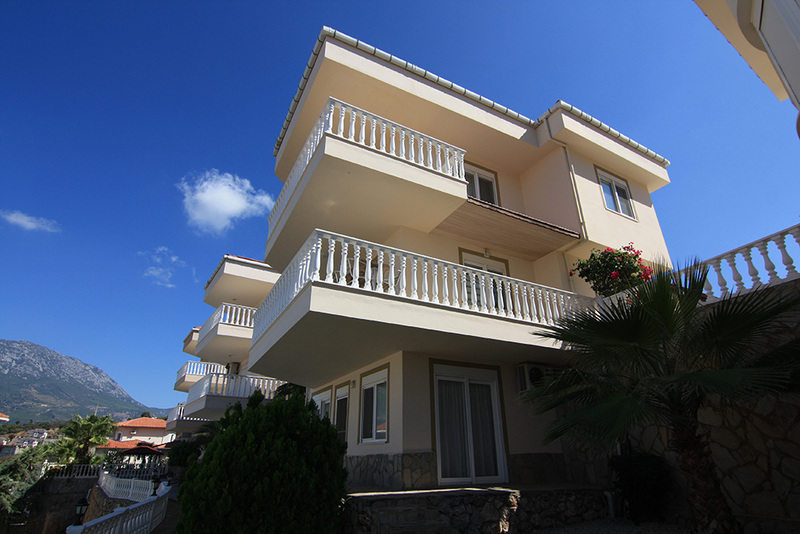 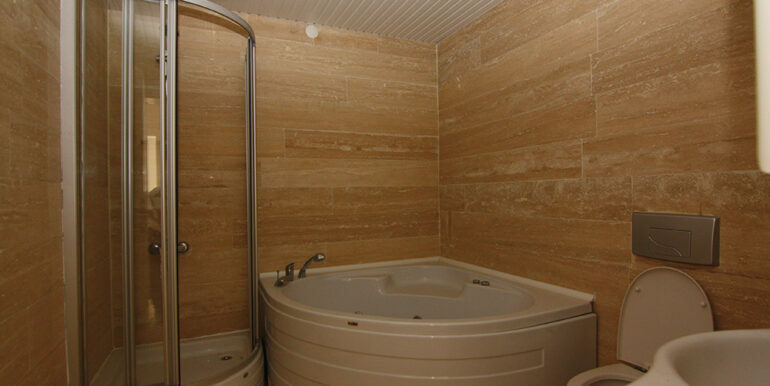 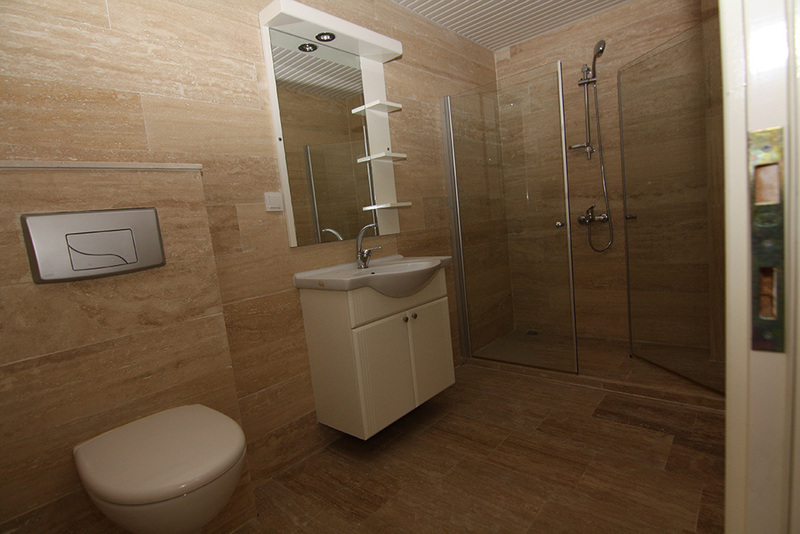 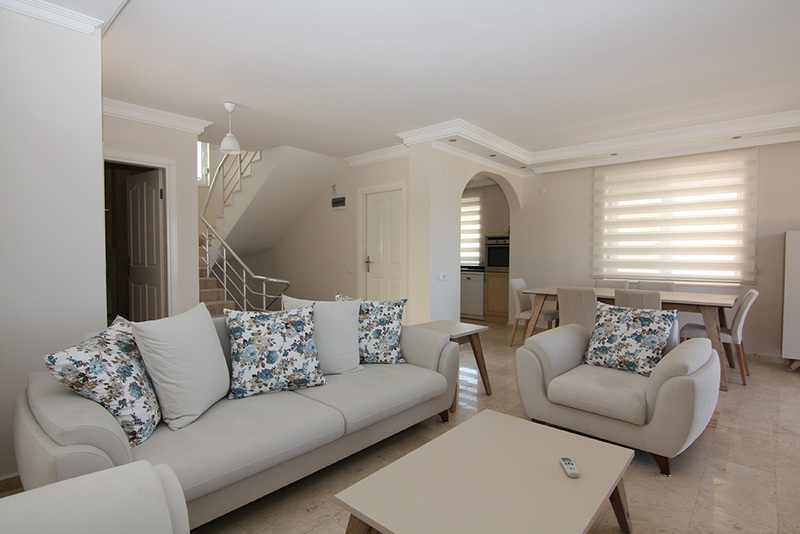 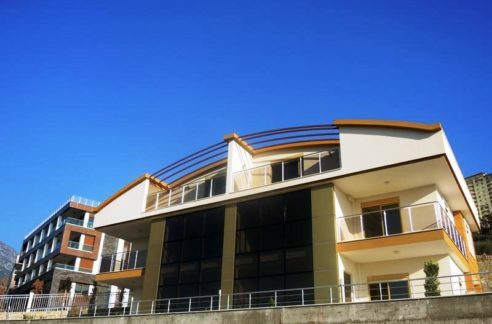 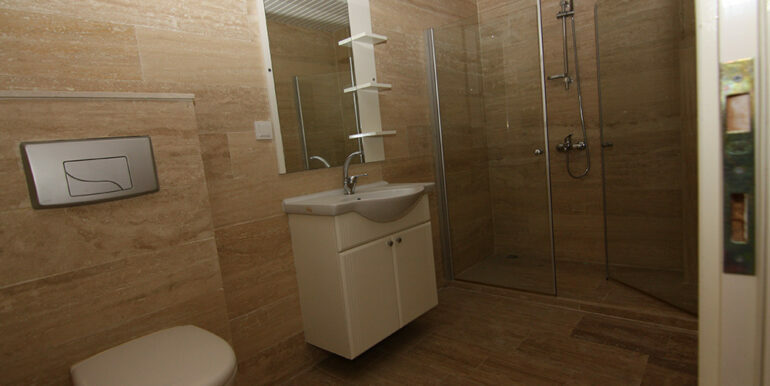 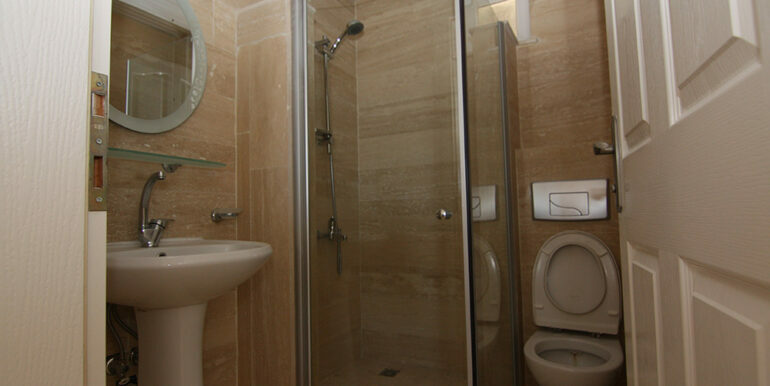 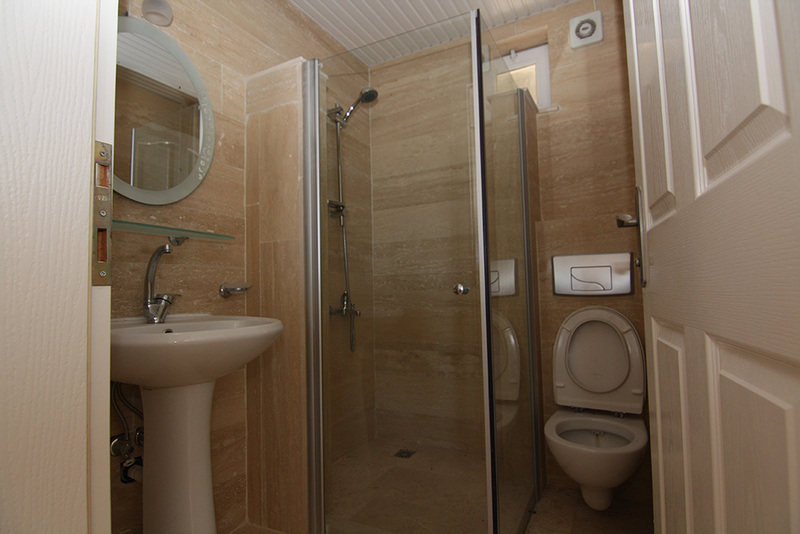 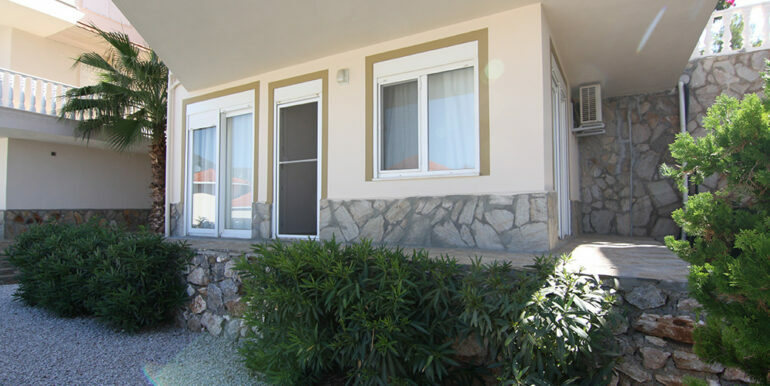 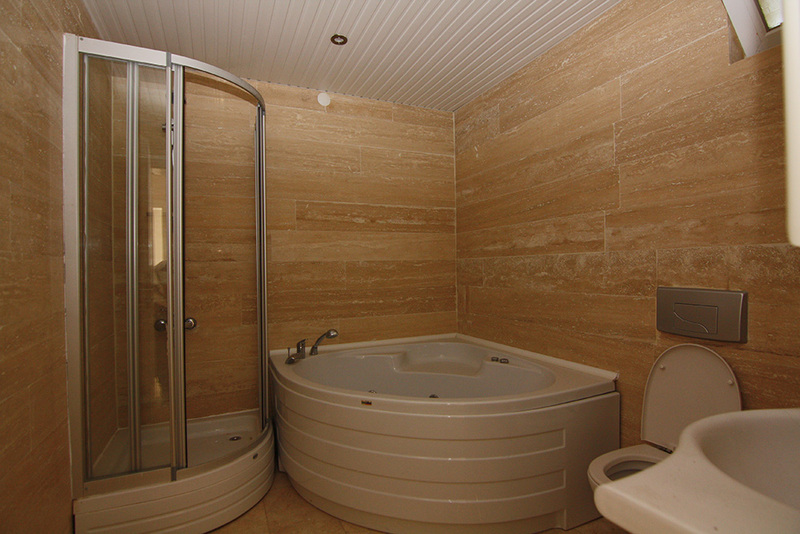 On the first floor there are three bedrooms, a large bathroom with Jacuzzi and a magnificent view of the balcony. 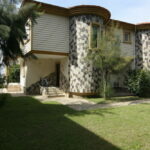 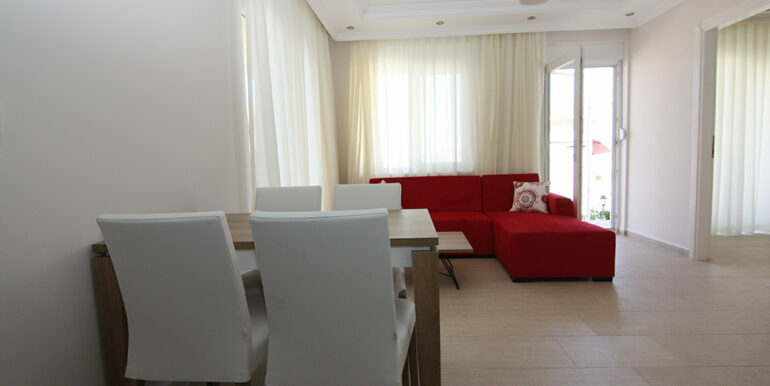 The villa is offered fully furnished. 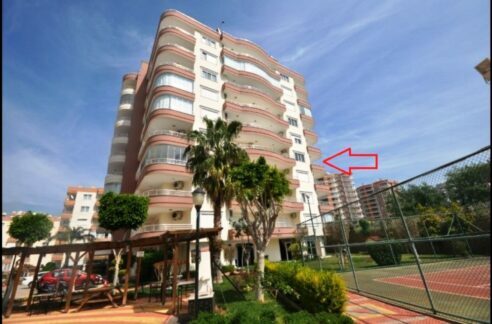 In the middle of the complex is the large communal pool with separate children’s pool.